Construction on Kwa Maritane already commenced centuries ago. An ancient alkaline volcano fashioned the very hills that Kwa Maritane stands on today. Hence it's name, which literally means "Place of the Rock". From here, you can look out over the infinite plains adjacent to the Pilanesberg National Park - an area rich in wildlife and hosting around 365 species of birds. Perhaps it's these ideal natural surroundings that won us the "Best Game Lodge" Award at the 1998 and 2001 Conference & Exhibition Venue Awards. Or maybe it's just that we offer distinctive service in every way. or browse the tabs below to view more information about the lodge. Look at our Special Offers for SA Residents under our special offers section! Rates are valid as per the stipulated validity period. 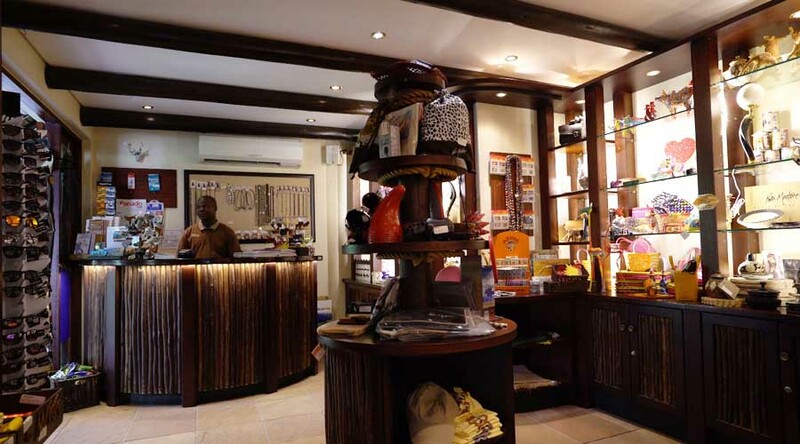 Kwa Maritane offers many exciting ways for you to view the fauna and flora of the Pilanesberg National Park. Engage in the various game viewing activities we offer such as: game drives, game walks, the hide, the deck, the hide camera, bird walks and tree walks. With various activities to take part in including game drives, bush walks, picnicking and more, Kwa Maritane and Bakubung have developed something even more engaging, the Junior Rangers Programme. In the evenings, guests are taken on a game drive, which brings you a lot closer to the big game. The animals are habituated to the vehicle, which means that they are used to the vehicle approaching them and know that it never causes them harm. This enables you to get within five to 10 metres of the larger predators, even while they're feasting on a recent kill. 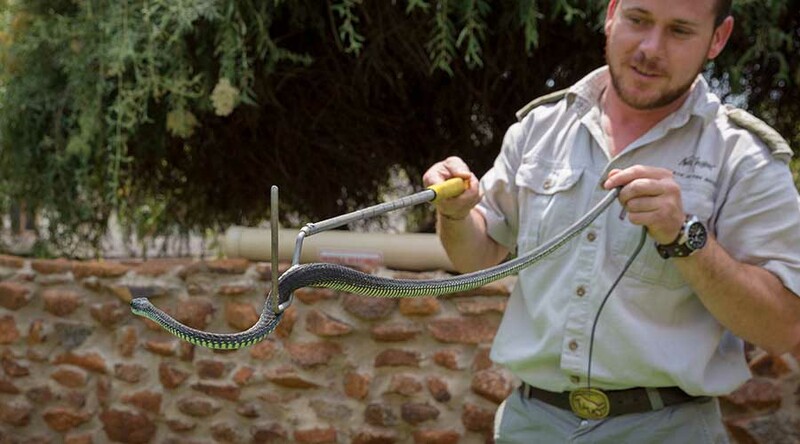 Get a grip on your fear as our ranger shows off these wonderful creatures. Bookings are essential and to be made at the Wildlife Centre. Subject to snakes behavioural patterns and weather dependent. 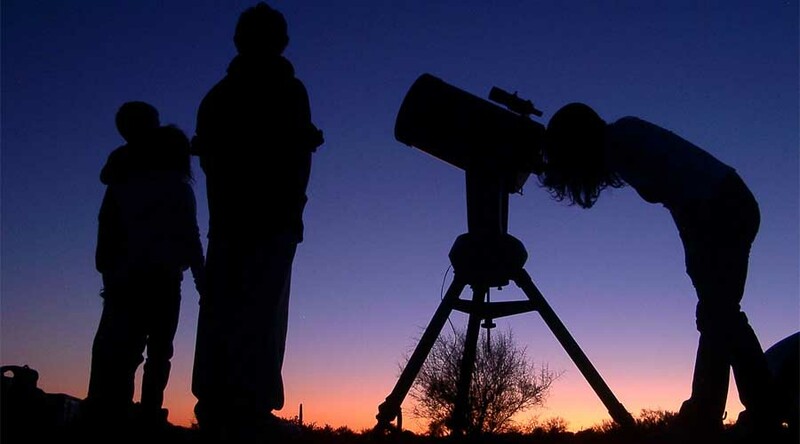 Come on a warp through space and join the guides on the helipad for a look at the stars (weather permitting). Bookings are essential and can be made at the Wildlife Centre. Enjoy a traditional South African braai, served under the African skies at our Bush Boma every Saturday and Wednesday. Subject to weather and numbers. 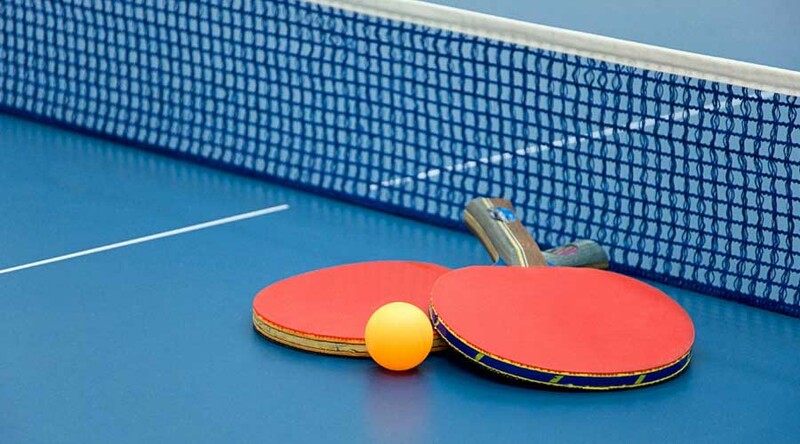 Come and play an enticing game of table tennis. Equipment can be found at our reception. 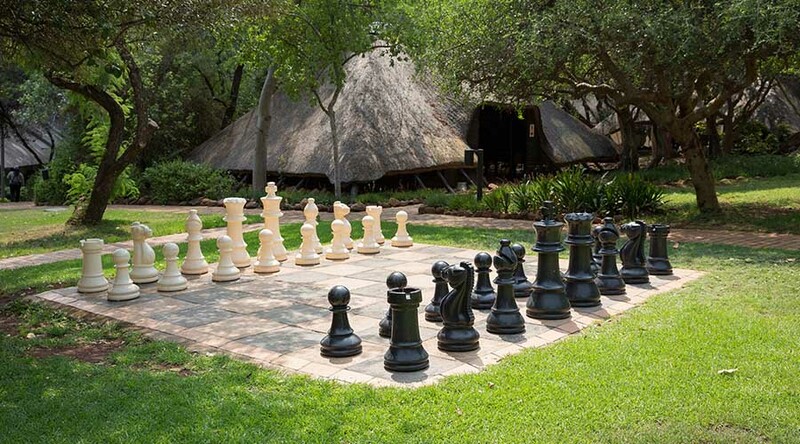 Come and play the cunning game of chess on our outdoor chess set. Bring the whole family to our pool that includes a slide into a splash pool for the children. 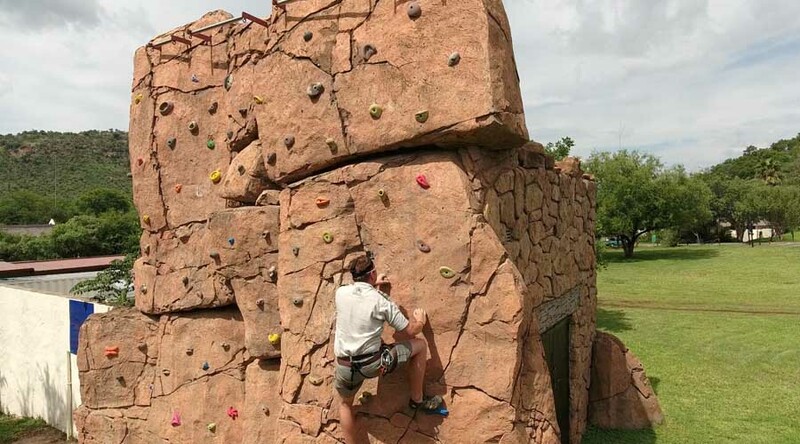 Work up a sweat on our climbing wall. Bookings are essential and need to be made at least 1 hour prior to the given times at the wildlife centre. Subject to space and weather dependent. 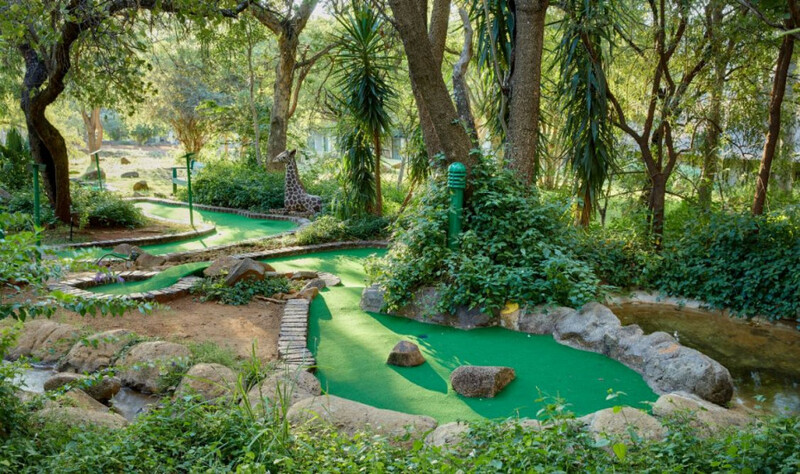 Come and play a competitive game on our 9 hole bush putt-putt course. Equipment for putt-putt can be found at our reception. Crystal clear water and a view that many would never want to leave - dive in and soak up the bushveld. 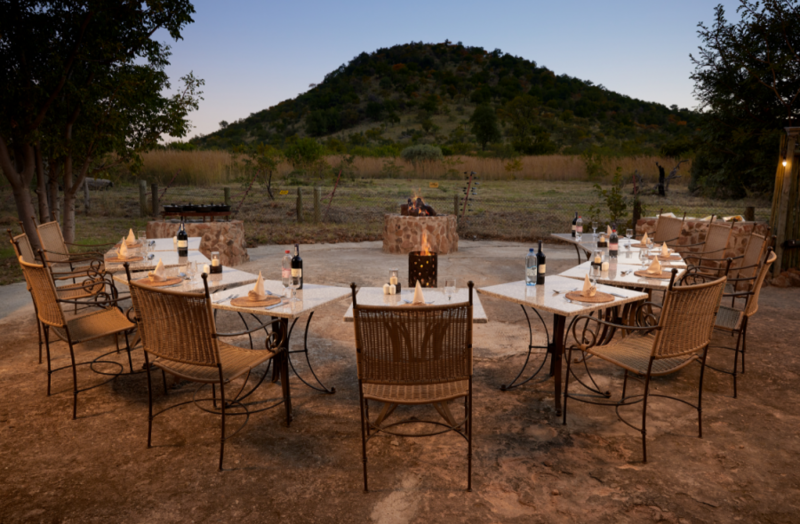 Enjoy our outdoor bush braai area where you can savour some of the best South African cuisine. Boma dinners take place on Wednesdays and Saturdays. Saturdays include marimba band entertainment. Come, relax and grab a book to read in our cosy cocktail lounge and bar. For groups, you can use this as an area for pre-dinner drinks or even host wine or whiskey tastings. There are 2 flood-lit tennis courts where the family can battle it out on the court. Tennis rackets and balls can be collected at our reception. Come and dine at our wonderful restaurant overlooking the Pilanesberg National Park. 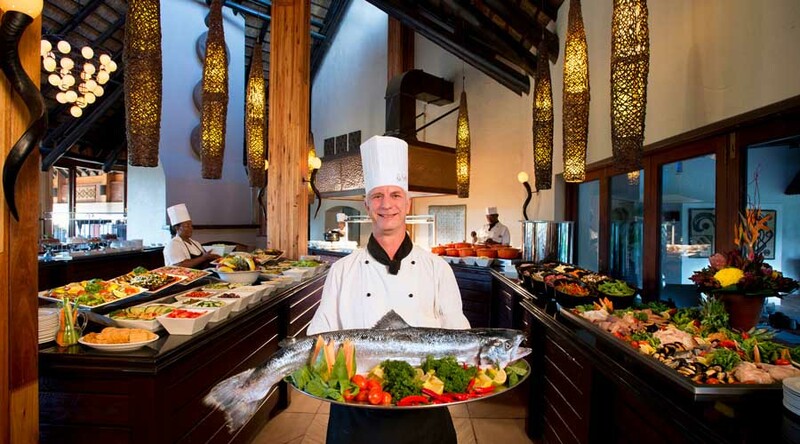 Enjoy our Fisherman's Catch themed buffet on Friday evenings, our Butcher's Grill themed buffet on Saturday evenings and our Lamb on the Spit themed buffet for Sunday Lunch. 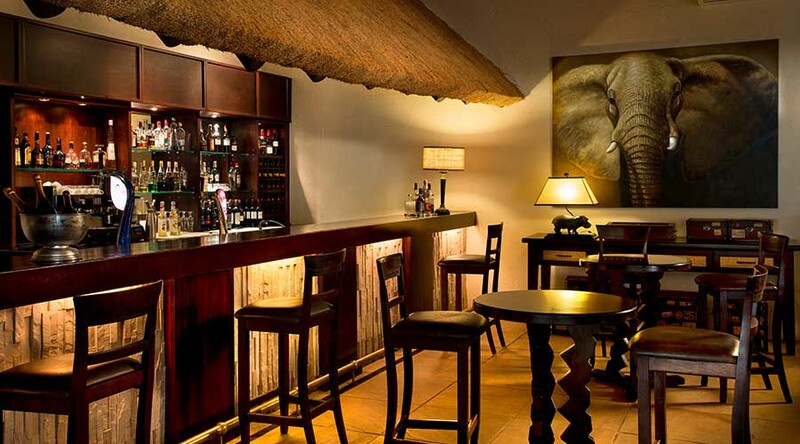 Our bar and lounge area is situated between reception and the restaurant, conveniently close to the main pool area. Local or international sports will be aired on the TV. Make sure to pick up a souvenir to ensure you're always reminded of your visit. 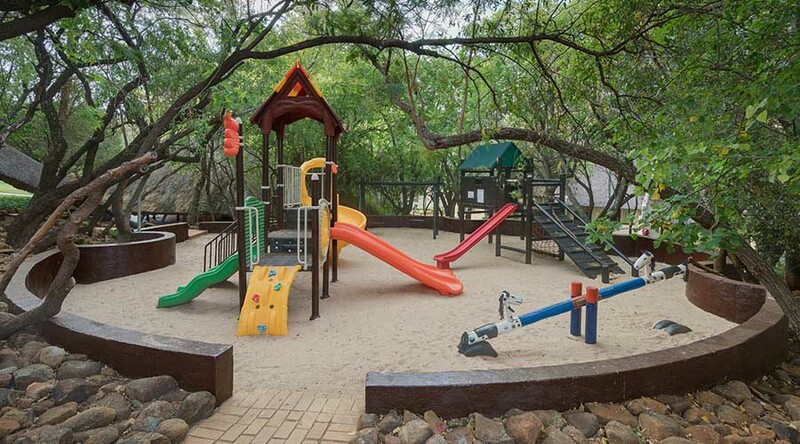 Bring your kids along to our jungle gym that is immersed in a sand pit. Need to attend to something work-related but you didn't bring your laptop along? Make use of our business centre with computers and printing facilities. Visit the Wildlife Centre & Museum to see snakes in enclosures as well as displays of animal skulls and droppings. You can make your bookings for the game activities at this centre as well. 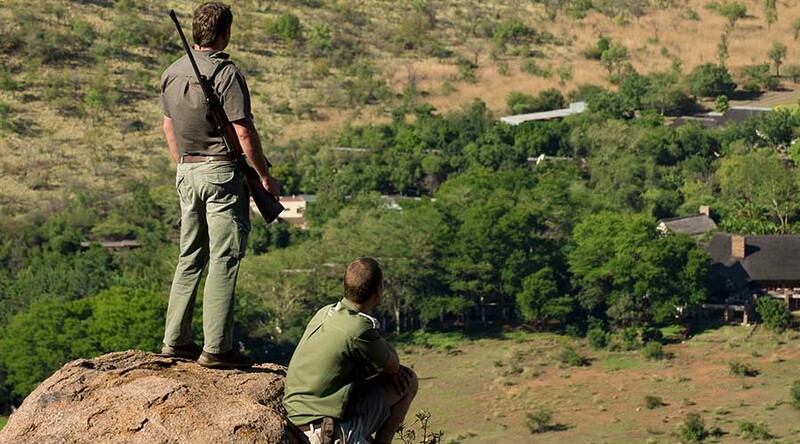 Enjoy the latest wildlife sightings from Kwa Maritane Bush Lodge in the Pilanesberg National Park. Kwa Maritane Bush Lodge is where Mother Nature and guests meet in perfect harmony. This Five Star Lodge is located on the slopes of an ancient volcano. 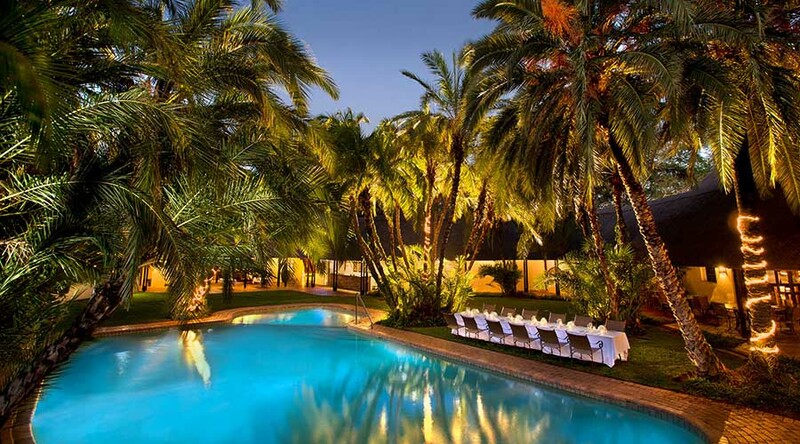 Kwa Maritane offers guests all the amenities of an exclusive resort within the malaria-free Pilanesberg National Park - an easy drive of 2 hours from Johannesburg, 3 km from the local airport and a mere 10 minutes from Sun City. 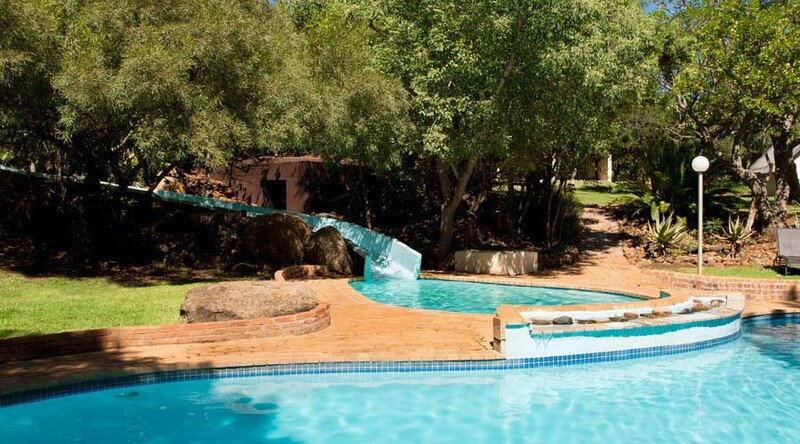 This Pilansberg lodge is perfect for a relaxing and well-deserved holiday or weekend. Located on the outer rim of an extinct volcano which erupted some 1300 million years ago, lies Kwa Maritane, ‘The Place of the Rock’. Overlooking a unique granite dome is Kwa Maritane, Legacy’s oldest and most famous bush lodge, host to families, businessmen and delegates from all over the world. The lodge is famous for its hide and waterhole linked by a 180m long tunnel, its outstanding cuisine and the hospitality of its staff. 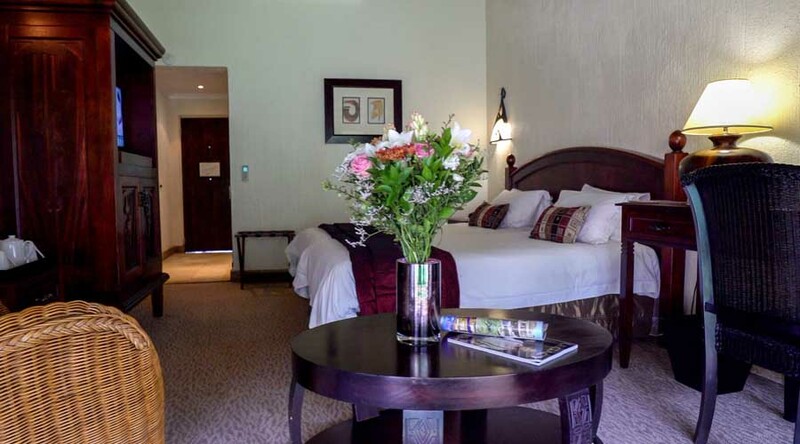 Guests can enjoy a host of recreational activities including dawn and evening Big Five game drives in the tender care of our experienced game rangers, bushveld boma barbeques, golf and other recreational activities at nearby Sun City, or simply relaxing in the lodge’s beautiful gardens and restaurant. We specialise in conventions, breakfasts, lunches, seminars, cocktail receptions, dinner dances, banquets, private dinners, product launches and team-building exercises. Speak to our banqueting and conference department staff, who will be happy to guide you through the process of putting together the perfect function - to suit your specific requirements. 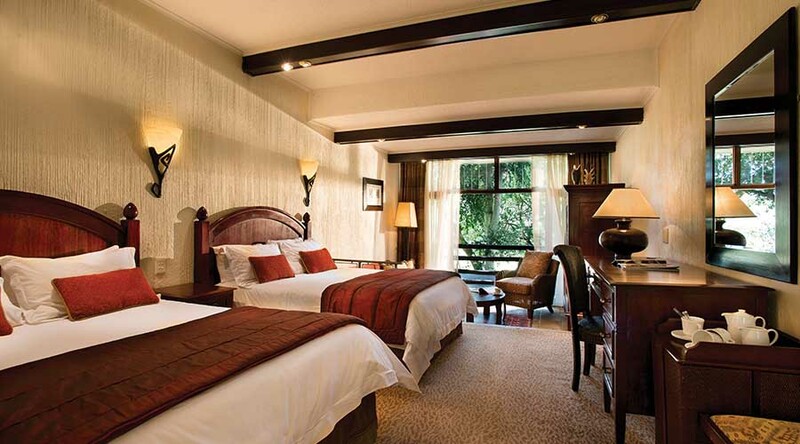 Please note that room layout may differ from image shown. Exclusion dates apply. Please refer to clause 3 in the attached terms and conditions. Minimum two night stay over weekends (Friday & Saturday). 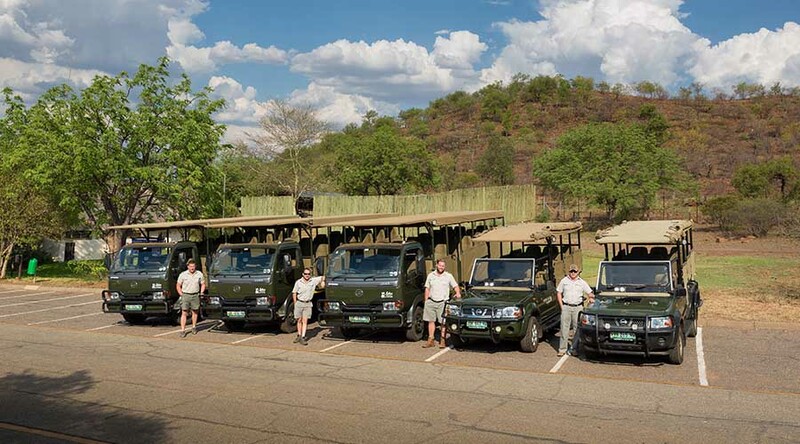 - 1 complimentary game drive is included per person per night’s stay. Please refer to Wildlife Activities page for further information. 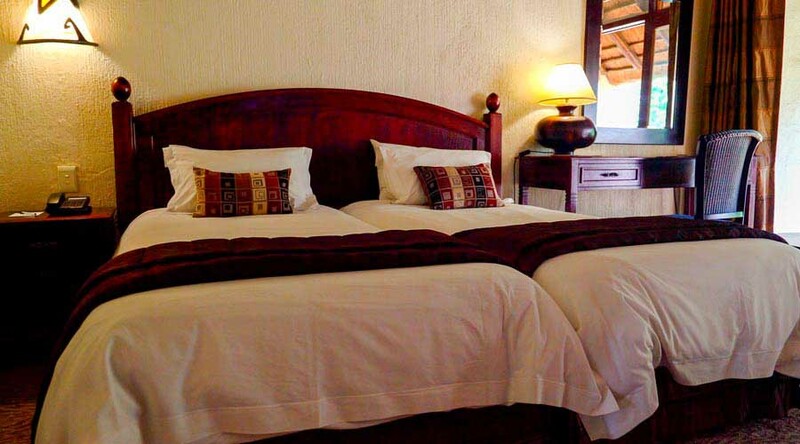 Children aged 12 years and younger (maximum two children per room) will be accommodated free of charge on a dinner, bed and breakfast basis, including one game drive, if sharing with one or two adults. Children aged 13-17 years will be accommodated free of charge on a room only basis and will be charged (2018) R 650.00 (2019) R 710.00 per child per day for breakfast, dinner and one game drive, if sharing with one or two adults. 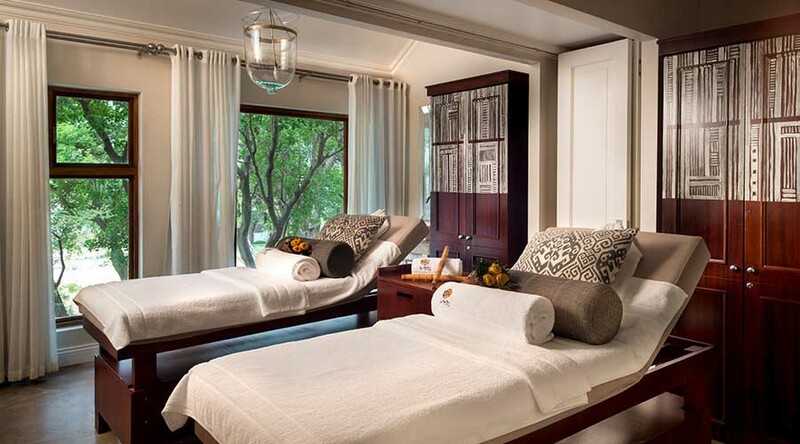 - 2 complimentary game drives is included per person per night’s stay. Please refer to Wildlife Activities page for further information. 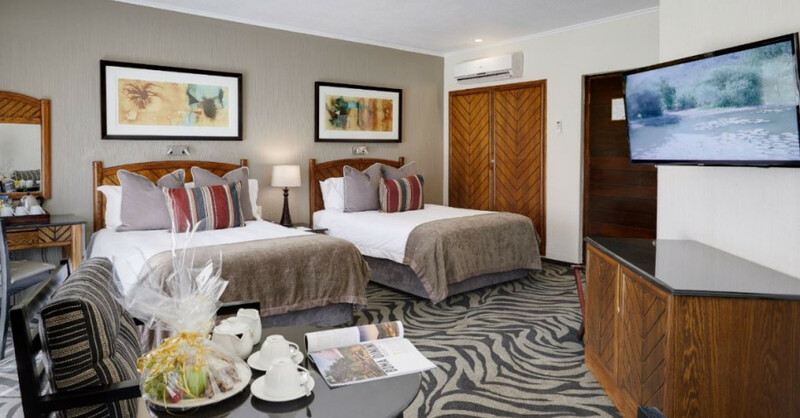 Children aged 12 years and younger (maximum two children per room) will be accommodated free of charge on a full board basis inclusive of dinner, bed, breakfast, lunch and two game drives per day, if sharing with one or two adults. Children aged 13-17 years will be accommodated free of charge on a room only basis and will be charged (2018) R1 090.00 (2019) R1 190 per child per day for breakfast, lunch, dinner and two game drives, if sharing with one or two adults. At Kwa Maritane you can get the sense of being far away from it all and yet be minutes away from civilisation. Our shuttle service will transport you from the airport or to Sun City for a small charge in no time. Room service from 07h00 to 22h00. 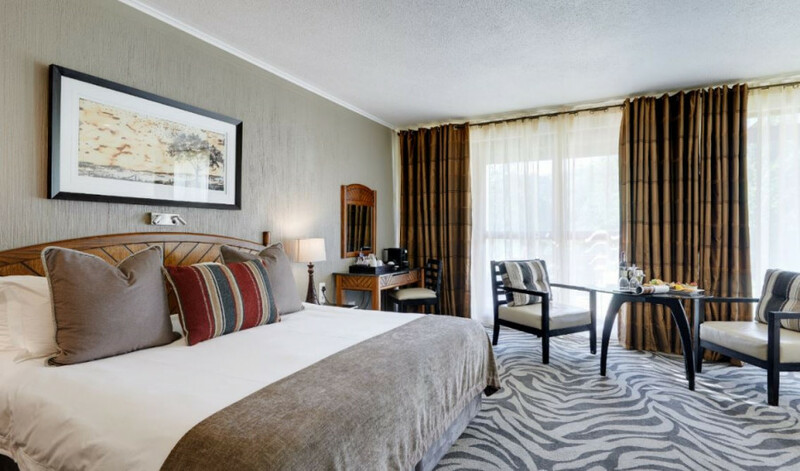 Rooms will be kept until 18:00 on day of arrival unless otherwise assured or guaranteed. Check-in is after 14:00 and check-out is before 10:00. 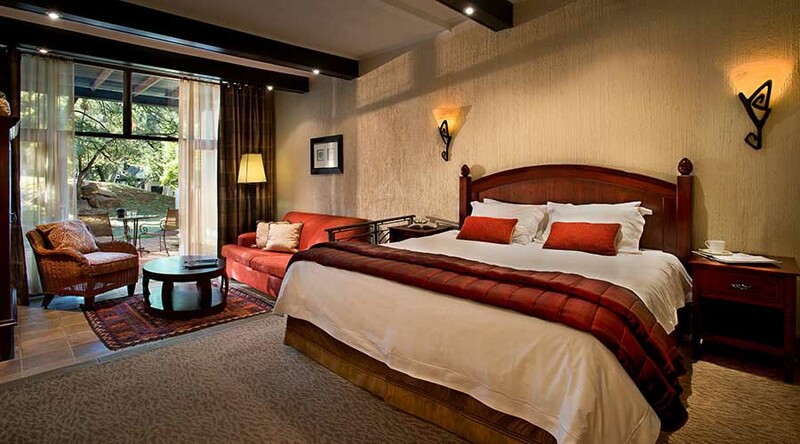 If the reservation is cancelled less than 14 days prior to arrival a 50% cancellation fee will apply. If cancelled 7 days or less prior to arrival a 100% cancellation fee will apply. A 10% admin fee will be retained for cancellations made after the card has been charged. Legacy Junior Rangers programme is available for all children aged 6-12 years. 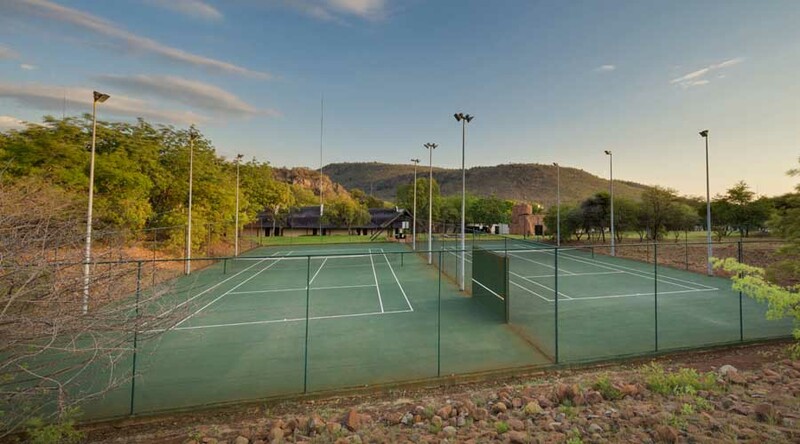 Activities are geared around natural resource protection, environmental education and responsible recreation offering a special opportunity to explore the Pilanesberg National Park. The Junior Rangers Program is available at a small additional cost to parents and usually takes 2 days to complete. On completion of the program, children will be including in a graduation ceremony and will be given a certificate and badges for activities completed. Game Drives last approximately 3 hours, depending on weather conditions and animal sightings in the Park. Bush braais are held (weather permitting) every Wednesday and Saturday night. If you would like to book a bush braai on an alternative night, a minimum of 30 people is required. If numbers drop below 30, the full rate for 30 people will be charged. Prices may be subject to change. Non-residential rates available on request.